Pickleball will be a Regular and Mixed Doubles event. Youth will be a singles competition. The Competition we be a round robin format for pool play. Each game is one match to 15. The top team(s) will move into a bracket for a single elimination tournament. The rankings will be based first on wins, then total points, then head to head for placement into the bracket play. Bracket play is also one game to 15, but will be win by 2, with no cap on the score. The USA Pickleball Association rules apply (www.usapa.org). With some modifications. 1) Paddles will be provided. 2) Onix Pure 2 Outdoor balls will be used. 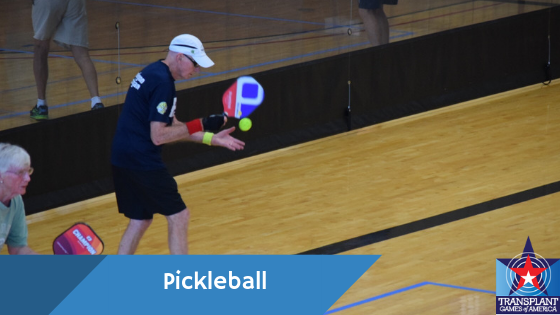 Once an event is completed and results are available, pickleball staff must record all competitors and scores to the appropriate system/documents. When electronic scoring is being utilized a manual backup system must be in place to record results.